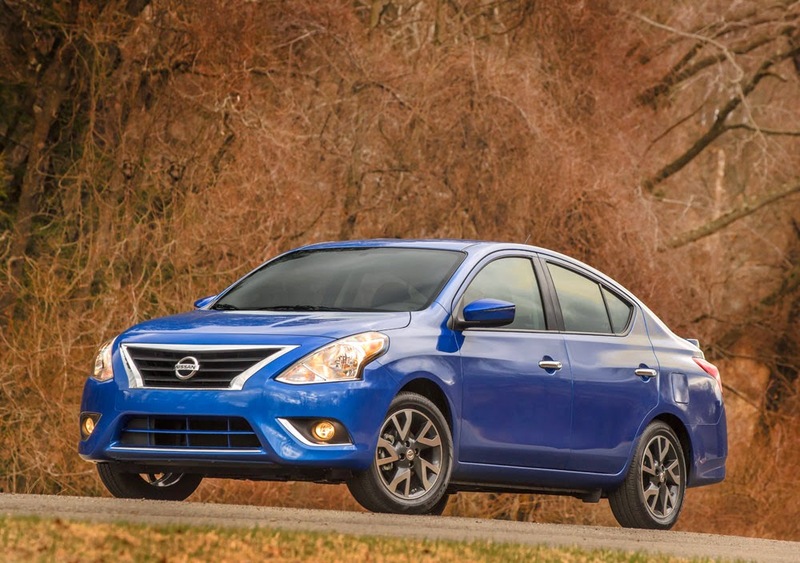 Nissan is mildly refreshing its hot-selling Versa sedan here in the States. While it isn't earth shattering, there are some aesthetic differences. Of note, new headlamps and a new grille, fog light finishing trim, and a more dynamic rear fascia. There are different wheels, too. I will say the changes do make the vehicle looks a bit nicer, although I still think the Versa isn't prettiest girl at the dance. There are some modest changes inside the Versa, too. Enhancements for the 2015 model year include a new center stack shape, which is similar to that found on the Versa Note, a revised meter display with white LED display (previously orange illumination color) and a new, more substantial, steering wheel with standard audio and Bluetooth Hands-free Phone System controls. Versa Sedan S and S Plus grades feature a wide AM/FM/CD audio system with standard auxiliary-in and Radio Data System (RDS), standard assist grips, a passenger-side vanity mirror and new seat fabric. Versa Sedan SV adds an outside temperature display, USB/iPod® controls, upgraded fabric headliner, map light with key-linked illuminated entry and silver finishers on the center instrument panel cluster. SL models include Nissan Intelligent Key with Push Button Ignition and an AM/FM/CD/USB-iPod audio system with 5.0-inch display and NissanConnectSM with Mobile Apps. No changes in the power department, however, as the car still comes with the 1.6-liter HR16DE four cylinder making 106 horsepower and 107 ft./lbs. of torque. Transmission options will be a five-speed manual, four-speed automatic, or CVT. Fuel economy is 31 city, 40 highway, and 35 combined with the CVT. Nissan sells a boatload of these smallish sedans here in the U.S., and I'm sure these changes will likely help continue to keep sales strong. 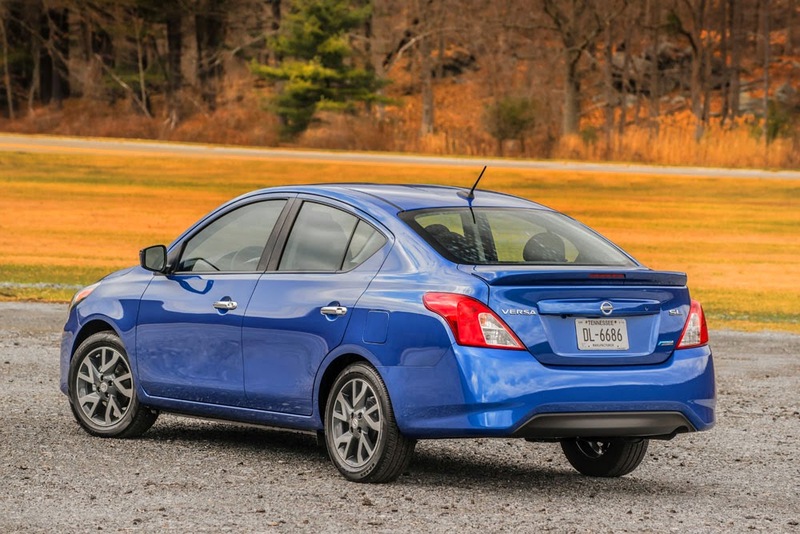 Behold, the only optioned-up Versa sedan you will ever see! And I sure hope they'd make more than just the bare-bones base model available with the manual transmission. It's not sporty or good-looking, but the Versa is a comfortable and economical car, so I can see why it sells very well. Oops! Thaks for the catch. The Versa is comfy and in bare-bones guise, is not bad.